This page develops students insight into changing patterns of leisure in three very different detailed examples, including the growth of the event industry, including music festivals, the growth of international tourism in China and challenges of globalization for young people in Bhutan. Watch the video introducing the growth in UK festivals. Study the following infographic and describe the demographic of festival goers. How do you think Chinese expenditure compares with other countries? Economically, there is no doubt that the surging numbers of Chinese travelers abroad are changing the world. Most conspicuously, they are becoming the main props of luxury brands. McKinsey, a consultancy, says Chinese people account for one-third of global spending on luxury goods. Between 2008 and 2016 they were responsible for three-quarters of the growth in such spending, the firm reckons. Much of this is done outside China, where prices are often lower than at home, but McKinsey says that even when prices are similar, nearly a third of Chinese shoppers still prefer to buy luxury items abroad. According to the UN’s World Tourism Organization, in 2016 they spent a total of more than $260bn, more than double the amount forked out by Americans abroad and about one-fifth of all global spending by international tourists. Only a decade earlier Chinese tourist spending had accounted for a mere 3% of the world’s total. In 2016 the south-western province of Guizhou had the nation's highest ratio of tourism revenue to GDP, at 43 per cent, pointing to the highest level of dependence. It was followed by Shanxi, at 33 per cent, and Yunnan, at 32 per cent. Tourism has been an important economic growth-driver for Guizhou, with the province leveraging its rich ethnic heritage to develop related sightseeing activities. The apparent reliance on tourism of Shanxi, China's coal base, is less immediately explicable, although the ancient city of Pingyao is a draw. The province is striving to develop the sector as it aims to reduce its dependence on coal mining. Elsewhere, tourism is important to the economy of Tibet, which had a tourism revenue-to-GDP ratio of 29 per cent in 2016. The central authorities have spent billions of dollars to improve rail and road connections to the region, led by the inauguration of the Tibet-Qinghai railway in 2008. Visits to Tibet increased almost sixfold between 2007 and 2016, to 23.2m, despite a fall in visitors in 2008 amid local unrest and rioting. Less successful have been efforts to draw tourists to Xinjiang, in the north-west, which has a relatively low dependence on the sector. Security concerns and travel restrictions are likely to thwart the development of local tourism in that region. Not all interior provinces are dependent on tourism. Ningxia had the lowest tourism revenue-to-GDP ratio in 2016, at 7 per cent, but its integration into the high-speed railway network may help to draw more visitors. A connection between the provincial capital, Yinchuan, and Xi'an (the capital of central Shaanxi province) is due to be completed by 2020. Two other lines are under construction, connecting Yinchuan with Lanzhou (the provincial capital of Gansu) and Qingdao (Shandong). The province also has a promising wine industry, and vineyard tours are available to visitors. The second lowest ratio was recorded by Heilongjiang, at 10 per cent. Cold weather and long traveling distances may deter visitors, although the annual Ice Festival in the provincial capital, Harbin, remains a pull. Watch the following video on Bhutan and identify the challenges facing the youth in Bhutan. The challenges confronting the youth are compounding by the day, which is a matter of serious national concern. For instance, as of 2017, about 6,000 substance abusers were registered with Royal Bhutan Police according to Bhutan Narcotic Control Authority. More worryingly, the trend on substance abusers is steadily climbing over the years and more than 90 percent of these are youth. It has become important and urgent that we all come together and put in our undivided efforts to combat these challenges. Today, our nation is faced with following youth-related challenges – unemployment; substance abuse; deteriorating human values; deteriorating culture and tradition; crime and theft; suicide; poor sense of common national identity; rural urban migration, and others. 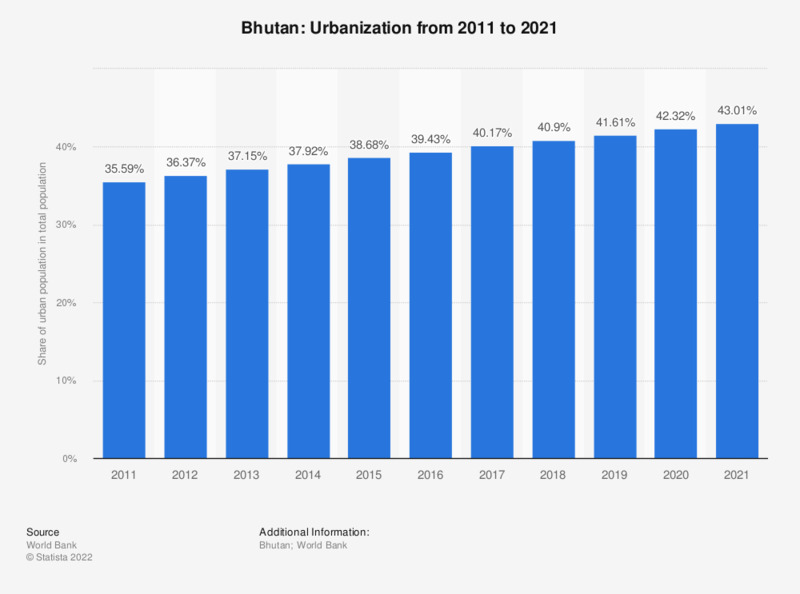 Use the following Frontline World interactive resource based on the introduction of technology and TV in Bhutan and identify the impacts on the country.